Wight Aviation Museum announce the good news that they have secured the Britten-Norman cushion craft CC7 XX102 C/N 005, the second to last built. Supporters have donated £1,100 so far, which will pay for the transportation from RAF Coningsby in Lincolnshire to the Isle of Wight. A loan has been secured to purchase the craft so fundraising continues apace to repay the loan. 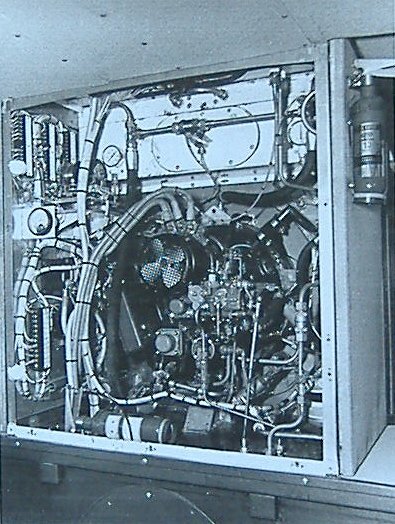 Phil Phillips, regular contributor to this website, has supplied this photo of the engine bay of sister cushion craft of C/N 001. Britten-Norman Cushion Craft CC7 Engine Bay. John Kenyon, Chair of Wight Aviation Museum, has announced, “We are very grateful to people that worked on this craft for contacting us and offering to help us with restoration. 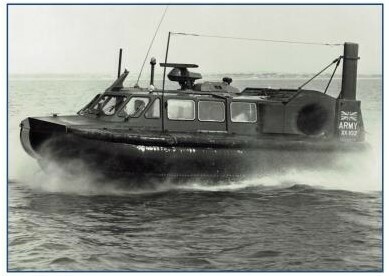 Additional support has been provided by the Hovercraft Museum, who has a sister craft CC7 in their museum at Lee on Solent, and Warwick Jacobs, the founding father of that museum. We really appreciate their help. “Finally, we still need a substantial amount of money, c.£15,000, to do a professional job of restoration to bring it up to a high quality museum exhibit and to repay the original loan. Please use the same platform listed below until 30 April to remit funds direct, so everyone can see the total climbing! The appeal will close on 30 April 2019 as BT has withdrawn their MyDonate support to Charities. After this date we will be reopening the appeal on another platform, Virgin Money Giving. Wight Aviation Museum (WAM) has launched an urgent appeal to raise enough money to save an historic British Cushion Craft from being sold abroad. Originally built on the Isle of Wight at St. Helens, on the shores of Bembridge Harbour, this particular hovercraft is at risk of leaving the UK to an overseas buyer at auction in January. Read the full appeal below with details of how you can donate and help to keep this British invention where it belongs. Here! Can you help us save a historic British Air Cushion vehicle from ending up overseas? 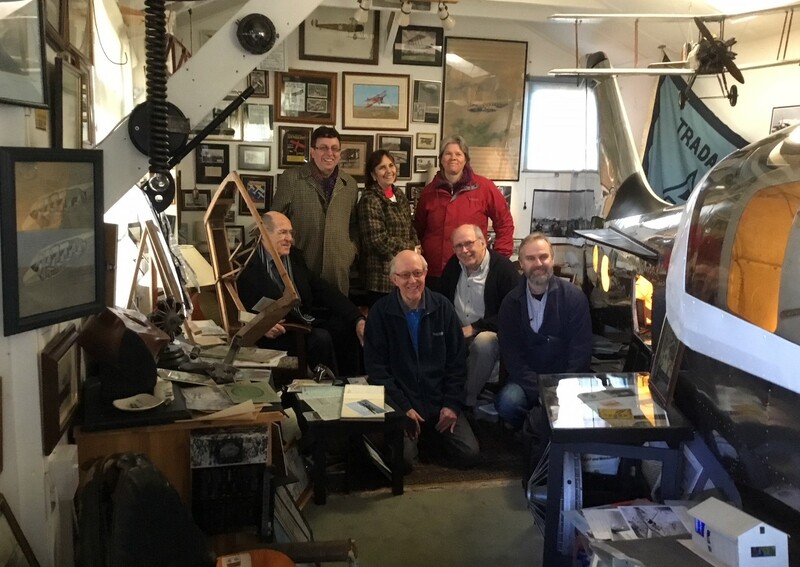 Hello, I am John Kenyon Chair of Trustees of Wight Aviation Museum, a UK registered charity and we are URGENTLY appealing for your help to rescue an important part of the Hovercraft story on the Isle of Wight. 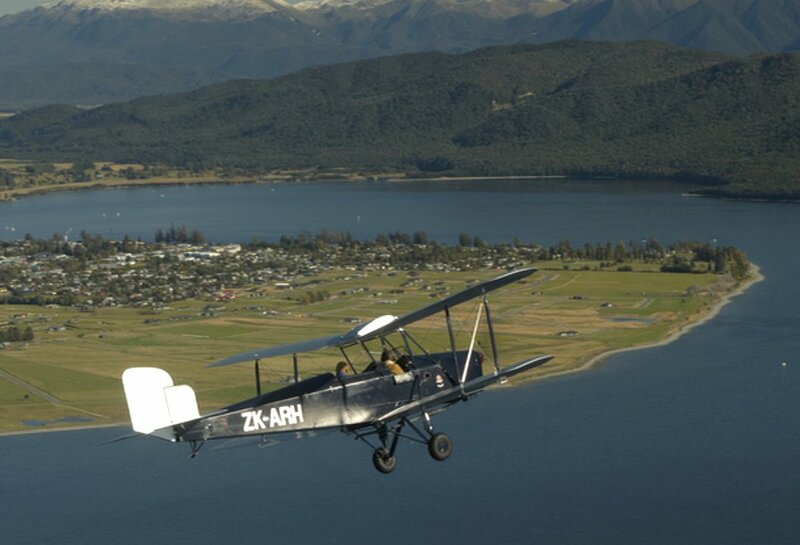 We are asking for donations to rescue an original Cushioncraft CC7 built here at St Helen’s Duver. We need to raise around £15000 to cover the purchase, transportation and refurbishment of the Cushioncraft, which we will bring to the Island so the museum can put the craft on display to the public at Sandown Airport. Additionally we would like to use the skills and knowledge of those that were originally involved in its production who are still here and able to assist us. 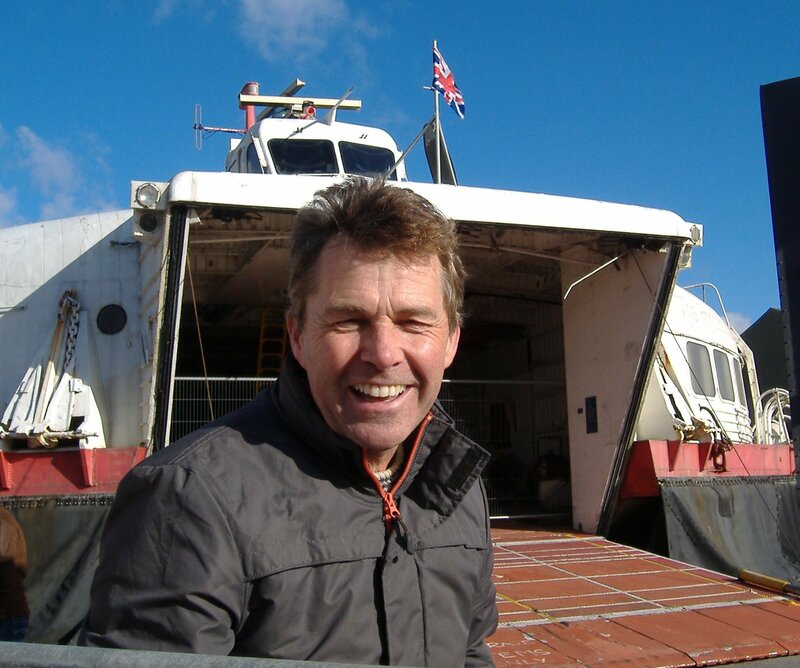 Warwick Jacobs, Hovercraft Trust trustee. Copyright Anne Grant. The reason for the urgent request is the unexpected availability of the craft. 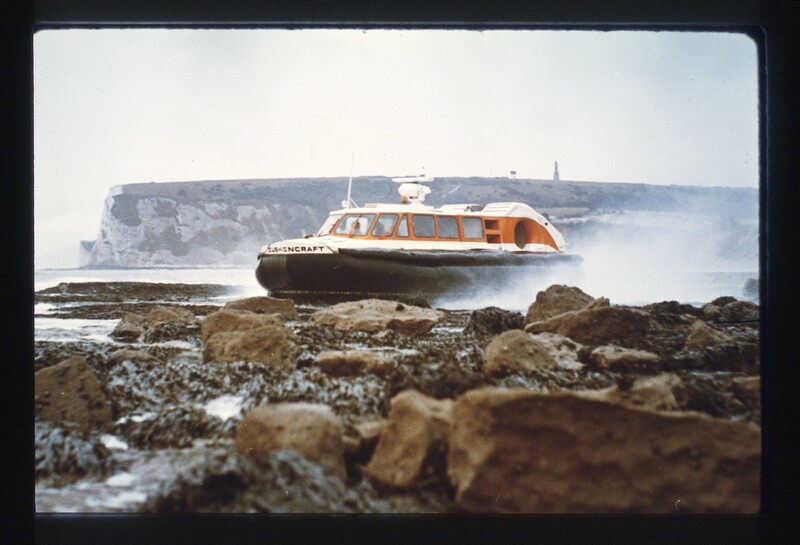 We had a call from Warwick Jacobs, who founded the world’s first Hovercraft museum in 1986. He said “My first thought was this naturally belongs on the Isle of Wight, paying tribute to the work of Britten Norman!” And our Trustees agreed! We have to act quickly if we are to secure this icon of engineering excellence for British aviation heritage as it is highly likely this will be sold off to a potential buyer from overseas at auction in January. Please donate now as much or as little as you can afford to return this Cushioncraft to the Island where it was made. This will be a fitting tribute to those who worked at St Helens and later went on to manufacture a wide range of hovercraft that continued right up its transfer to Griffon Hoverwork in 2008. Finally should we not be successful in raising the total sum needed we guarantee that all money donated will be placed into restricted funds and will be used only to purchase further acquisitions for the museum. Here is a bit more about the history of the CC7 Cushioncraft……. Britten Norman Cushion Craft. Courtesy of Mark William. In 1960 Britten-Norman Ltd began trials of their new “Cushioncraft” —their name for an air-cushion vehicle built which needed to be” flown” above the terrain. It was used initially to assess the potential of this type of vehicle for the carriage of bananas from plantations in the Southern Cameroons. Together with its associated company, Crop Culture (Aerial) Ltd, Britten-Norman studied the potential for the Cushioncraft in many different countries. These investigations revealed the possibility of a break-through market in transportation techniques by the use of air cushion vehicles which could accelerate the pace of development in territories where roads are non-existent and costly to build and where rivers are seasonally unnavigable. A very similar concept to that used to promote the BN Islander’s “Land Rover “capabilities in the air, and still in service today, all across the Globe. Cushioncraft was eventually sold to The British Hovercraft Corporation in 1972. 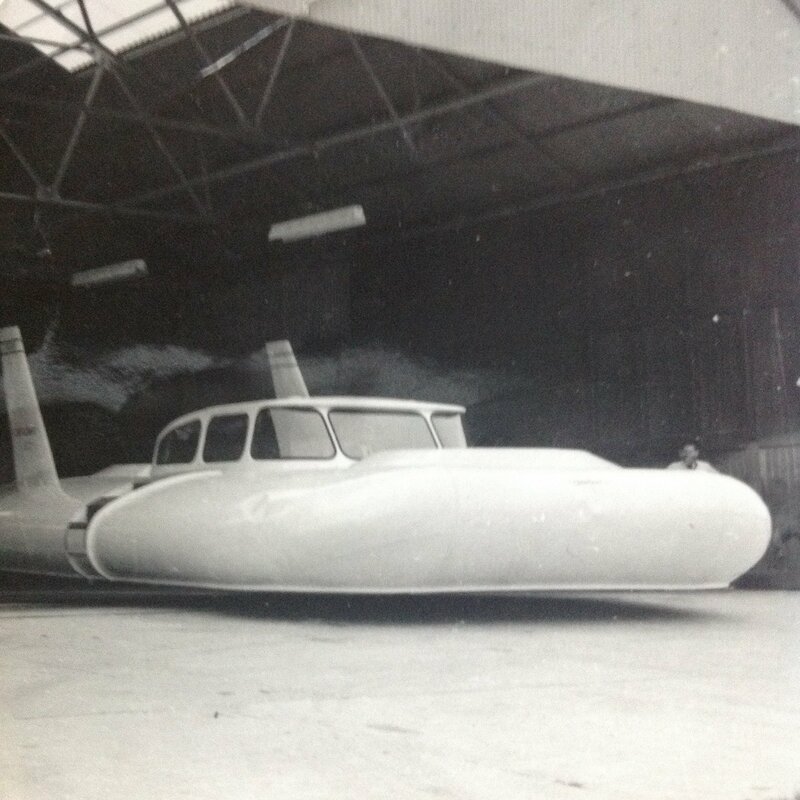 Remember too marine skills were used to develop the first aircraft and it was aviation skills that were used to develop Cushioncraft using reverse engineering concepts which is why the first hovercraft were flown….. by pilots! Do please make a donation on line by credit or debit card its very quick and easy and you can do so anonymously if you prefer, but if you can accept your donation to be gift aided, this will benefit the charity by an extra 25%. BT does not take a penny out of your donation. They only charge us a card processing fee of 15p. For a Donation of £10 we get £12.35. 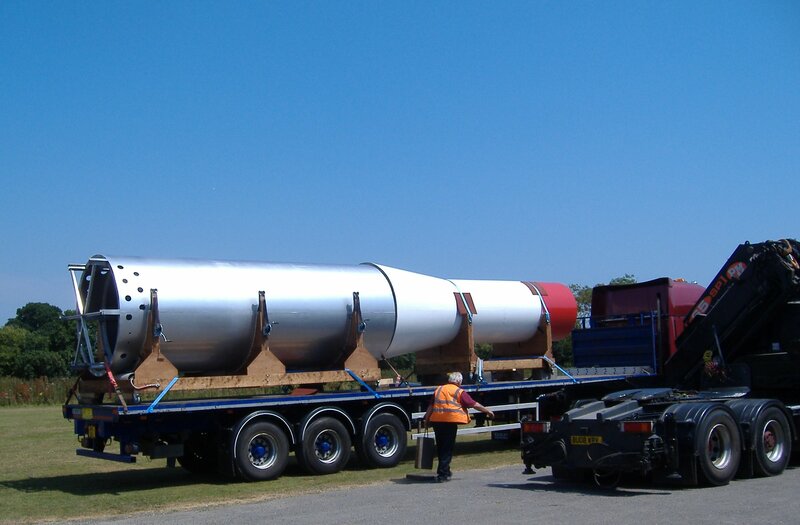 The replica of the Black Arrow has arrived at Wight Aviation Museum (WAM), minus the red ‘nose’ cone. This is currently being manufactured on the Isle of Wight. 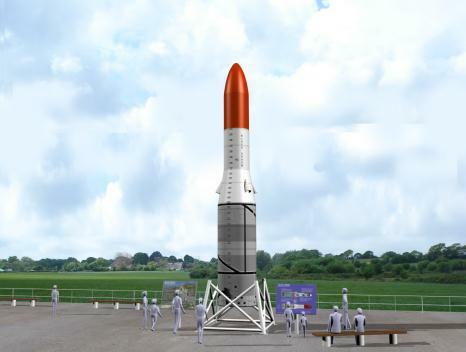 When completed it will make the road journey to Sandown Airport to finish the rocket assembly. It will then be situated outside the museum as a distinctive sentinel, visible to all who arrive at the airfield. There will be no mistaking the location of WAM amongst all the other hangars! Go to the Notice Board for more details about organised tours from the mainland to aviation sites around the Island, including an opportunity to see the Black Arrow. 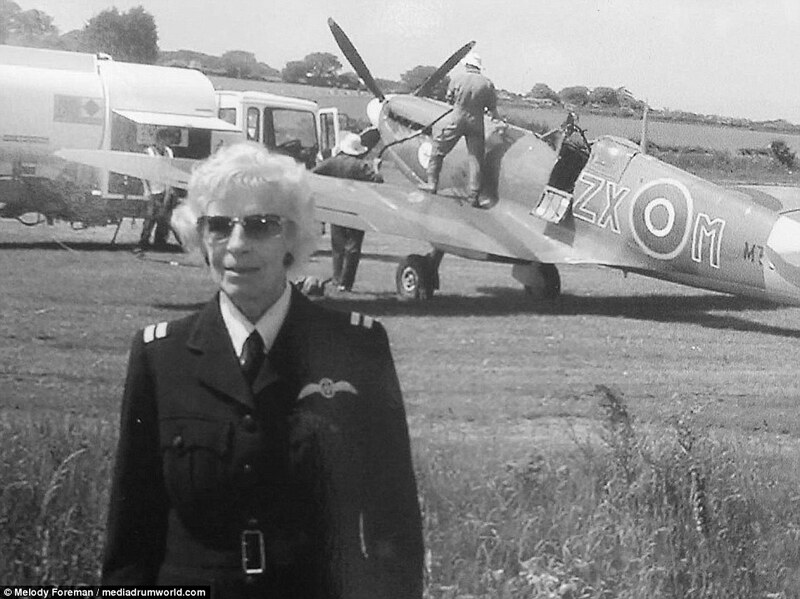 If you are already on the Isle of Wight then go to Wight Aviation Museum page for contact details of how to visit WAM. Also on the updated Notice Board is news of events this Autumn including a fabulous photography exhibition in Freshwater, Isle of Wight. 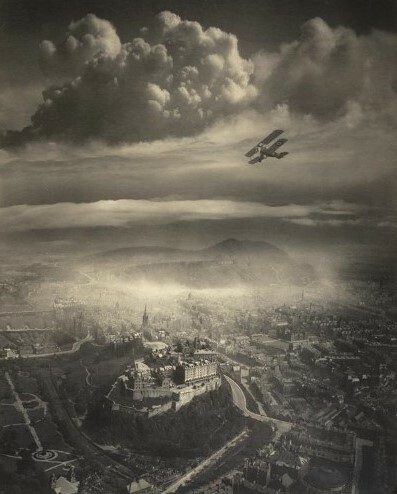 Vintage aviation images taken by Alfred Buckham are absolute gems of history, capturing a moment in time that has gone forever. Buckham wanted to be an artist, until he saw pictures by JMW Turner. Alfred went home and destroyed his own paintings. He took up a camera instead. What he produced through his lens is of equal artistry to Turner. The SKY TRAVELLER is not to be missed. Also listed are details about a talk by a pilot with HM Coast Guard SAR Helicopter based at Lee-on-the-Solent. What of the big event anticipated for 2019 – D-Day 75? News that Government funding won’t be made available for Portsmouth, to stage a major event next June around the Southsea D-Day Museum, has come as a blow to Portsmouth councillors. Bombed out but NEVER beaten !!! 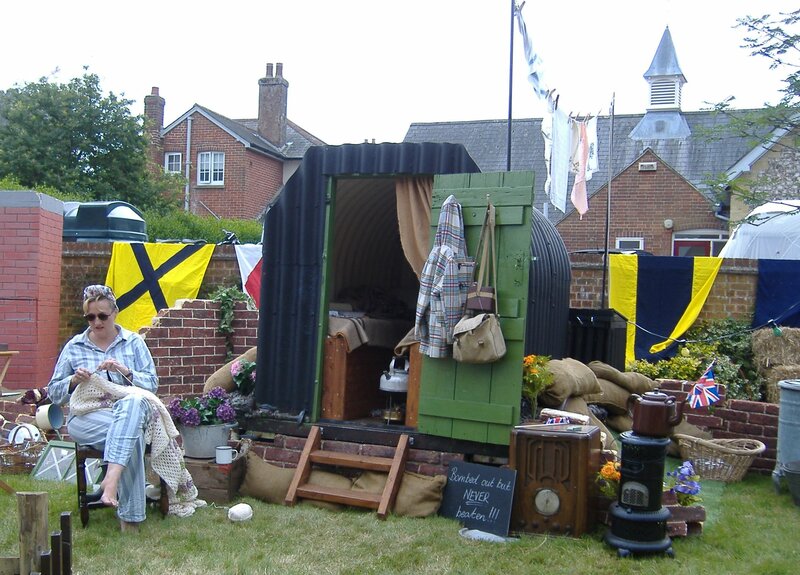 Southwick D-Day Revival showing the British Spirit. Copyright Anne Grant. If this leaves plans for Pompey somewhat up in the air, the Southwick Revival stalwarts over the Portsdown Hill are almost guaranteed to put on something even bigger and better than their D-Day 2018 weekend. They won’t be beaten. As the lady in this photo chalked onto her blackboard propped up under the green door of her Anderson shelter, ‘Bombed out but NEVER beaten !! !’ That’s the spirit, girl! Go to the Notice Board for a review of what Southwick 2018 did to entertain and educate the crowds.